I’ve been missing from here for a while. then suddenly I was away on a vacation. 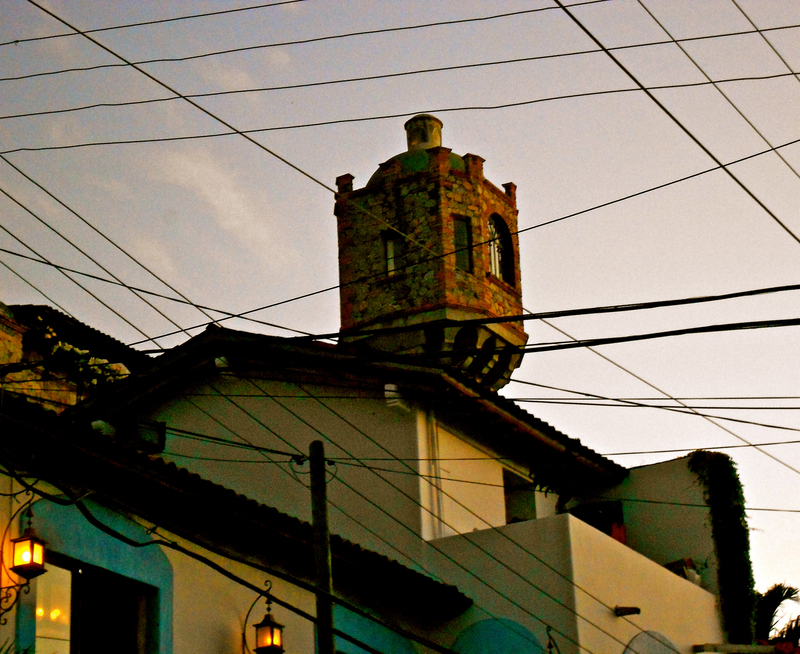 I passed this house on a small, cobblestone street in Puerto Vallarta, Mexico. I was astounded by the cluttered architecture, the myriad balconies, and the miles of overhead wires. I wondered if it were for rent. I could stay a while. And create some thing all new.